Lent is a season of forty days, not counting Sundays, which begins on Ash Wednesday and ends on Holy Saturday, Easter weekend. Lent comes from the Anglo Saxon word lencten, which means “spring.” The forty days represents the time Jesus spent in the wilderness, enduring the temptation and preparing to begin his ministry. 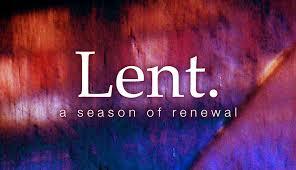 Lent is a time of repentance, fasting and preparation for the coming of Easter. It is a time of self-examination and reflection. Today, Christians focus on their relationship with God, often choosing to give up something or to volunteer and give of themselves for others. Lent helps us to prepare our hearts for the fullness of the meaning of Easter. Which character in the story of Luke can you identify with at the moment? What can you do this Lent to regain a sense of balance in your life? What holds you (or people in general) back from approaching Jesus, the doctor?